They were made by Del Johnson. Enjoy! For those wondering, Del is the person who redesigned the header on the site and forum, as well as our new Twitter background. 4 games in 4 nights at the end of the month. Insane! 6 games in 7 days! They had a 5-in-6 stretch last year I think as well. Because the lineup changes nearly entirely, it's not as big a deal...unless you're the coach, more work for them for sure. 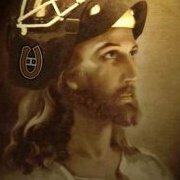 Am I the only one not liking the new Habs marketing campagne "Rise Together" ? I really don't like the 2 faces in 1... pretty creepy. It's not really to the point with the slogan. "Rising together" doesn't mean 2 by 2, but all the team as 1. 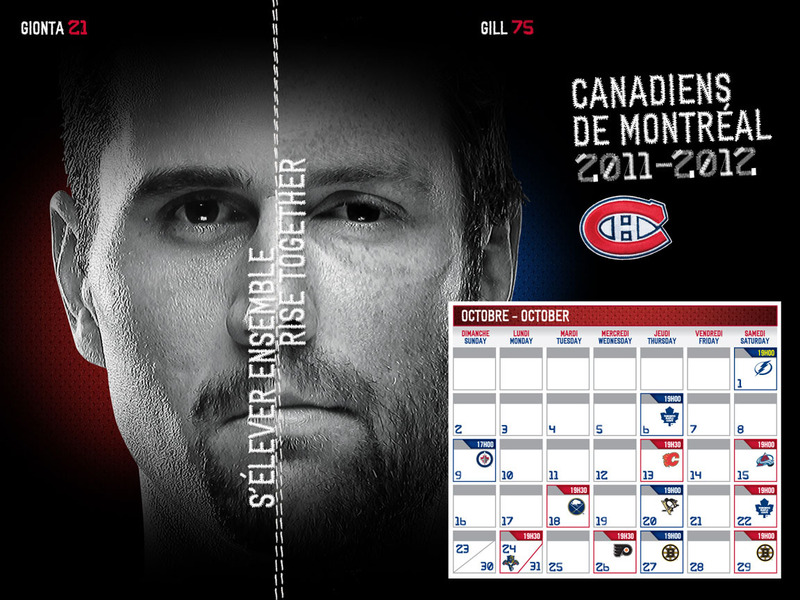 Would you put a "Gionta+Gill" faces wallpaper on your desktop? Beurk Ugly! Looking forward to being SPOILT this season. Love these!! October one is so spiffy, can't wait for Thursday!! And Matt, I agree 100% with you, really creepy photos in the new campaign. Not a fan. And very happy to see the site looking great and still around. I am glad to be back and am interested in doing some player grades for some game this year. Cool, nice to see you back around ! Are you planning to travel to watch the Habs on the road this year? and going to Cali in November and Florida in December. Are you doing any of those? No I am not, so I'll rely on you to share with us your experience and the excitement! Didn't know where to post this, but here is the t-shirt I ordered yesterday. Can you PM me from where? Calendar is ready, which player is gonna be featured?